Not your average boat ride. 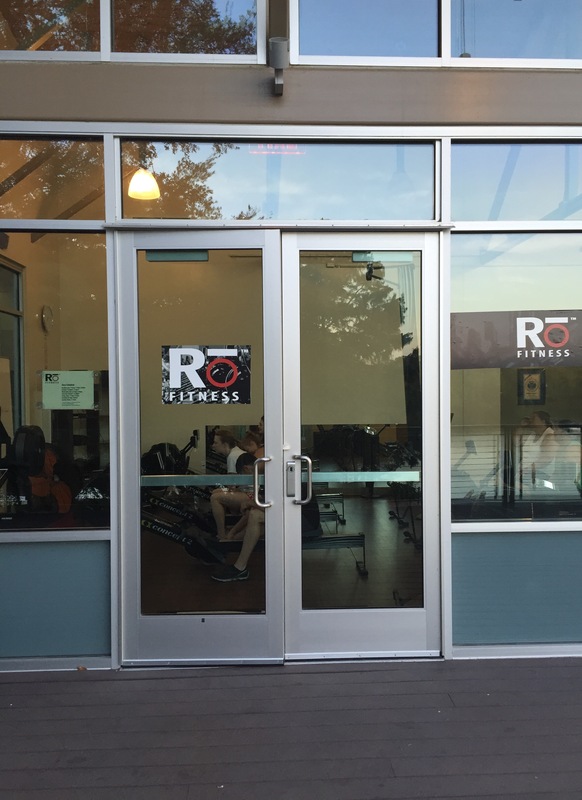 Ro Fitness offers classes that specialize in rowing techniques to get your body sweating. The classes are held indoors with 7 machines (if I remember correctly) and are challenging and interval based. Since the class size is relatively small, the instructor is able to pay close attention to your technique and form to ensure you are getting the most out of every workout. That being said, if you have never even stepped near a rowing machine (like myself) then it will take a few classes to really get the correct form down, so that you can reap all the benefits that rowing has to offer. As the class progressed, and we got helpful tips from the instructor, and I began to feel the workout more and more in my legs and less in my shoulders, which is what you aim for. Although it’s a full body workout that engages your entire body (including shoulders, back, biceps, triceps, abs, and of course your legs), the main focus comes from your legs, where you get the power from each stroke. Since I was a competitive athlete for most of my life, I did get the hang of the motion a little quicker than most would have. After class I was explaining to the instructor, that as the class progressed, I started to feel it more and more and really sweat! She said it does usually take people about 3 classes to really get into it. Some people may be discouraged by this, because you’re not getting in the workout you may have hoped for right from the get go, but it’s always great to learn a new technique and challenge your body in different ways! As for the workout itself, this type of exercise is designed to make you challenge yourself. Unlike being on a soccer team, or in an actual boat on the water, you have your own machine, set your own resistance, and can increase or decrease your watts (the more power the higher the watts), or challenge yourself by changing the strokes per minute. For the first half of the class we did intervals that increased kind of like a “ladder.” It involved 30, 40, 50, and 60 second intervals with 10 second of rest in between and we repeated that 4 times with a minute between each round. For the second round, our average watts was recorded on the machine so we were able to set it to challenge ourselves and push harder, as if we were in a boat race. It was awesome getting to go at my own pace and even race myself! I’ve never really been to a class that you’re able to do that, so I thought it was really cool. P.S. You’re holding onto a bar and pulling it back multiple times during the class, so I ended up with a few calluses on my hands but nothing major. So you either gotta tough it out, and after a few classes your hands should get used to the motion, or maybe wear some weight lifting gloves if it really bothers you! I would definitely recommend this to people who are looking for a class to rev up their workout routine and who want to keep it easy on their joints. Since you are sitting down, this class is an awesome way to still get in a cardio workout but is low impact so you aren’t stressing you body out. The workout was great overall and I can’t wait to go back! For more info on what to wear, bring, and how the class works you can click here! Cost: First class is FREE; $20 per session or $120 for 7 classes; more membership prices available; ClassPass accepted! 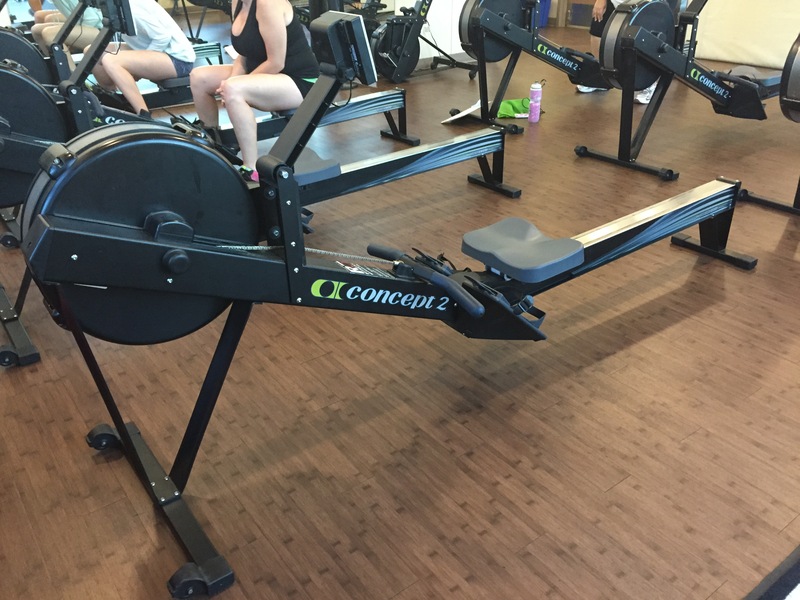 About: Cardio Ro offers each client the ability to challenge themselves each class with a series of carefully crafted intervals on the rowing machine, that paired with great technical advice ensures you get the best possible workout. Tip: It’s low impact, technical, anyone can do it, and has a high calorie burn! Visit “Sweat Deals“ for information on specials and free classes.